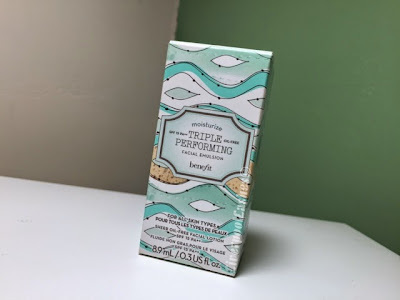 I received a Benefit Triple Performing Face Emulsion as part of a goody bag from an event a couple of months ago. The staff at the counter had given me a chat, introducing each product and applying them to my face and I feel in love instantly with the scent of it which is really clean and fresh. I really like the style of the packaging and the bottle itself, it almost has a 'castaway' style feel to it or some sort of magic potion. 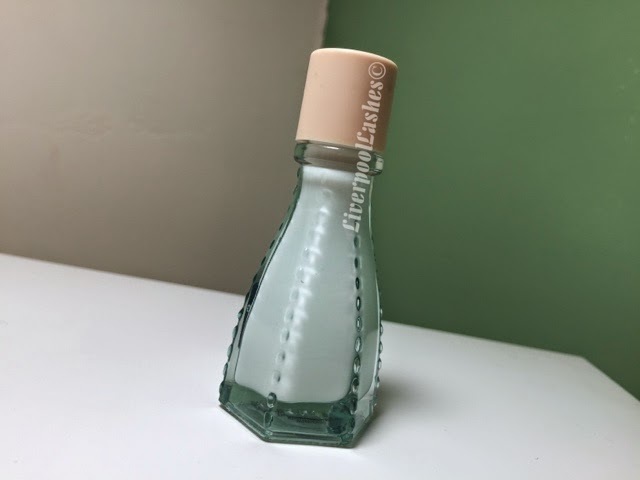 The moment you apply this to your skin it appears to add light reflecting properties to it, not enough to turn you into a disco ball but just a little highlight. This moisturiser sinks in fairly quickly so I can then get on with doing my make up and when I do use it under foundation it helps to give a natural radiance. I would also say that since I have oily/combination skin, it doesn't make my oils throughout the day as some moisturisers do. The bottom line is once the bottle has ran out I would definitely consider purchasing enough. The scent of it is really refreshing and the result it gives is pleasant.